Project Officer in the Guyana based CARICOM Secretariat Ms. Mignon Bowen said the Secretariat had received a lot of exposure from the many observer missions it has mounted, with regard to the management and observation of the electoral process in member states. 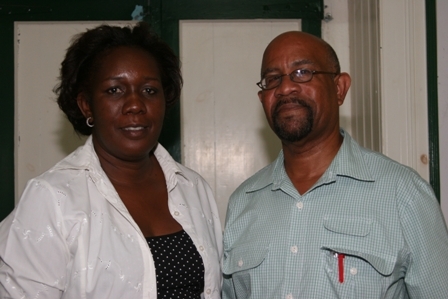 She made the observation on Friday during a visit to Nevis to meet with Premier of Nevis Hon. Joseph Parry and other stakeholders, ahead of Monday’s General Elections. “One of the things about doing these observer missions …is it actually builds capacity and so where we have strength in one system and a weakness in one, we are monitoring [and] we try, in terms of our recommendations, to see how best the strengths in that system could be applicable to this one. “That is why we have persons like Mr. Raggie who is the Supervisor of Elections in St. Lucia and we also have the Deputy Chief Supervisor of Elections from Trinidad Ms. Charles Wright. So those persons would use their knowledge to strengthen another member state’s system if there needs be,” she said. Ms. Bowen said the observer team was pleased to be in the Federation and she was pleased to be a part of the observer mission. “It is very honourable for you to be part of an Electoral Observer Mission and we are pleased to be of service to the people of the region and especially the people of St. Kitts and Nevis. Meantime, Mr. Carson Raggie who accompanied Ms. Bowen on the Nevis visit said he was hopeful any recommendations that were submitted, would be taken into consideration. He also registered his satisfaction with the introduction of the Voters ID card which he said was one recommendation made by the CARICOM Observer Mission after the last general election five years ago.